March 20, 2012. The vernal equinox occurred at 1:14 a.m. EDT, signifying the first day of spring for this Northern Hemisphere town of Chapel Hill, N.C.
To welcome spring this year I added several new spring blooming plants. One is a compact Jacob’s ladder cultivar, Polemonium ‘Bressingham Purple.’ Early on, this garden had contained a specimen of our native Spreading Jacob’s Ladder, Polemonium reptans, but it eventually was lost to drought. Bressingham Purple is supposed to have purple foliage though it may depend on the light where it is grown. This one does not seem very purple. The tag labels it as requiring sun to part-sun, so I chose part-sun. Even here it may require close monitoring and regular watering to keep it from drying out. I am already thinking of moving it to a shadier site. 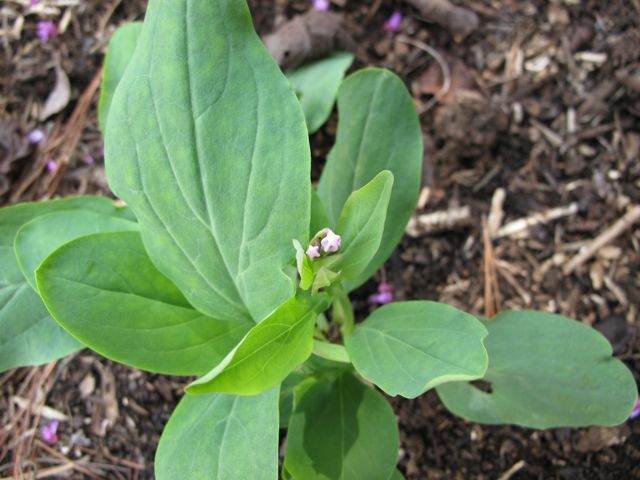 Another garden addition is the spring ephemeral Mertensia virginica (Virginia Bluebells). These pink buds will open into light blue bell-shaped flowers and attract butterflies as pollinators. Virginia bluebells are native to North Carolina. 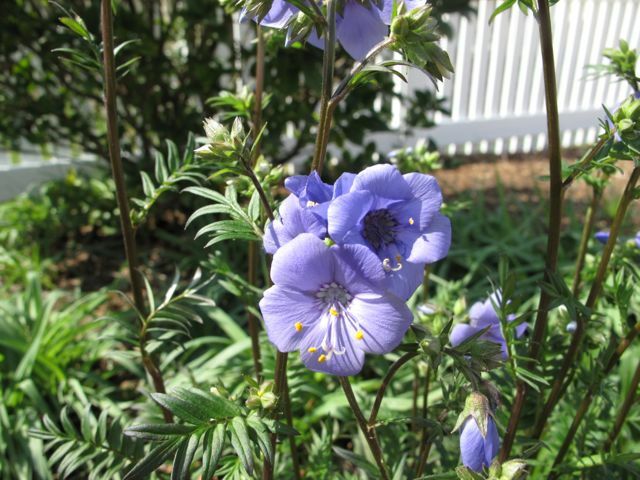 This entry was posted in garden and tagged Jacob’s Ladder, Polemonium "Bressingham Purple', spring, vernal equinox on March 20, 2012 by pbmgarden.